Oh my goodness. Can you believe the end of May is upon us? It’s flown by for me, but I’ve had a great time working on this month long day-trip series with Car2Go. Cruising the Oregon countryside in a Smartcar is a lot of fun. (Have you ever parked one? It’s awesome, you can fit into the tiniest spots!) So far we’ve been to the Oregon Coast, Silver Falls and Parkdale. 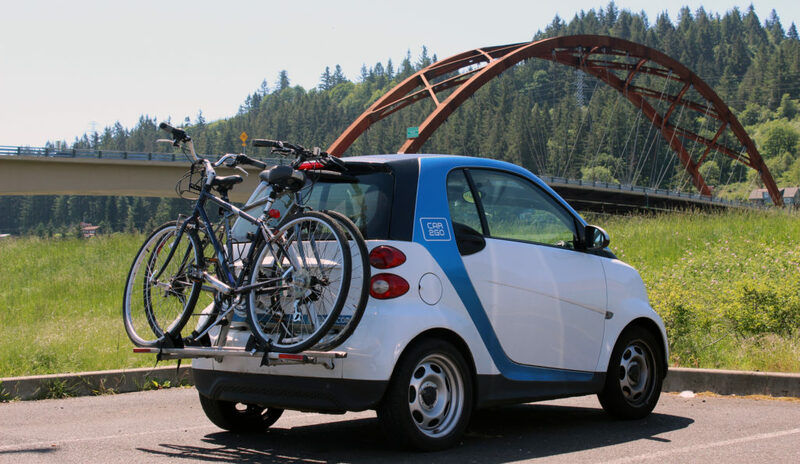 This time we are staying closer to town, instead taking advantage of the Car2Go bike racks for a ride on Sauvie Island and some fun in North Portland. 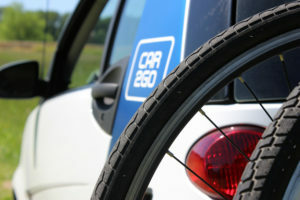 Not all Car2Go vehicles have bike racks, so you need to check your app, for the bike symbol. It’s easy to find, you just might have to travel a little further to get to it. Luckily you’ll have a bike, so that won’t be a problem! 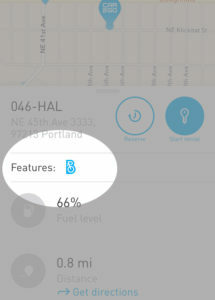 When searching on the app, you need to look for the little bike symbol in the “Features” list. Once you are in the car, you will find the bike rack keys attached to the main key. Strap in those bikes… and we’re off!!! Once you’ve picked up your car and secured your bikes, head for north Portland. If you want to get on the road quickly, take Highway 30 north towards Sauvie Island. 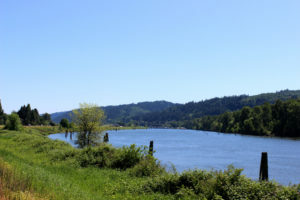 Cross the Sauvie Island bridge (find out about parking permit) and park in the lot just below the bridge. But if you have a little time, I suggest stopping at Cathedral Coffee for a little breakfast. 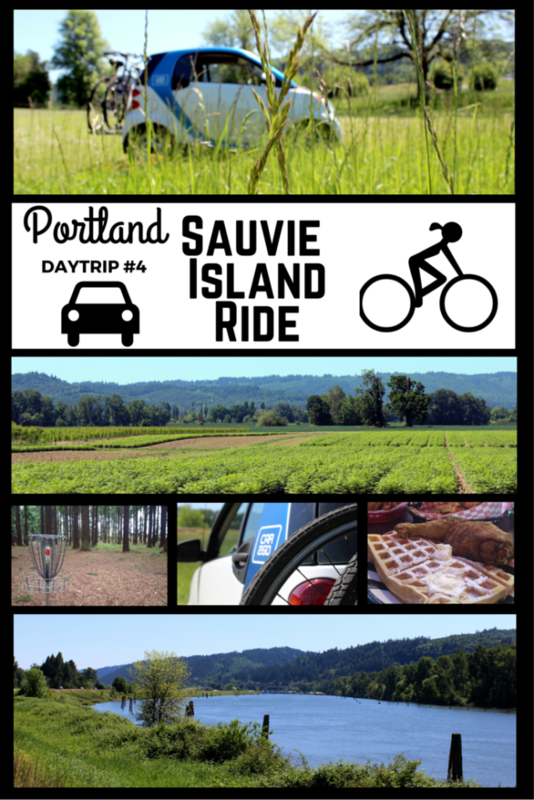 Once you are in the Sauvie Island lot, it’s time to get riding. The basic loop is 12 miles and it’s flat nearly the entire way. Plus, during the summer there are farm stands, nurseries and parks to stop at if you need a break. But still, make sure you have water and a repair kit just in case. Also, be prepared to ride with traffic, there are no bike lanes, so you will be right on the shoulder for the entire ride. It’s a little scary at first but you’ll get used to it. Traffic is light enough that it’s not too crazy. Depending on your fitness level it should take you about 60-90 minutes. -From the parking lot, turn left (south) on Gillihan Road. -Follow this for about 6 miles. It will wind you west for a couple miles, then back north for a few miles more. -About 6 miles in, you will reach a “t” in the road. Turn left here onto Reeder Road. This will take you past a bird refuge viewing point, which is a nice spot to stop if you have time. -Finally, turn left onto Sauvie Island Road for the final stretch back to the car. This section is especially cool because you have a view of the river. After that 12 mile ride, you deserve a break. Head to one of the awesome farm stands where you can get fresh fruit, grilled food and often a micro brew. Kruger Farms and Bella Organics are two great options on the island. Next stop: Pier Park in St. Johns for some frisbee golf. If you don’t have discs, you should pick some up in town before the trip. Next Adventure is a great place. You’ll need at least 1 per person, but 2-3 would be the best. To get there, head from Highway 30 over the St. John’s bridge, then turn left onto Lombard, then right onto Bruce Avenue. Be sure to lock your bikes up. The car has a build in lock, but I’d double lock it with your own, just to be safe. 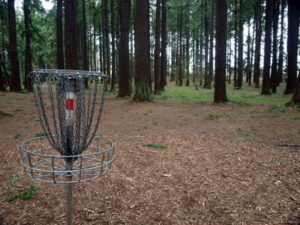 Pier Park is a sprawling wooded park, full of trails, playgrounds, dog parks, and picnic areas as well as an 18 hole disc golf course that is widely considered to be one of the best in the city. Play a few holes, or the entire course. It’s free! 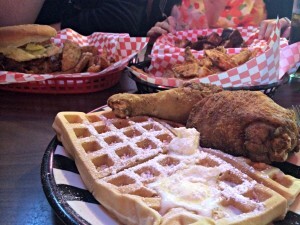 tacos at Tienda Santa Cruz or fried chicken at Dub’s. Or just pick up a sandwich to enjoy in Peninsula Park, IMO one of the most beautiful gardens in Portland. Spend $100 in drive time (excluding fees and taxes) in the month of May 2016 and receive 20 minutes in drive time. 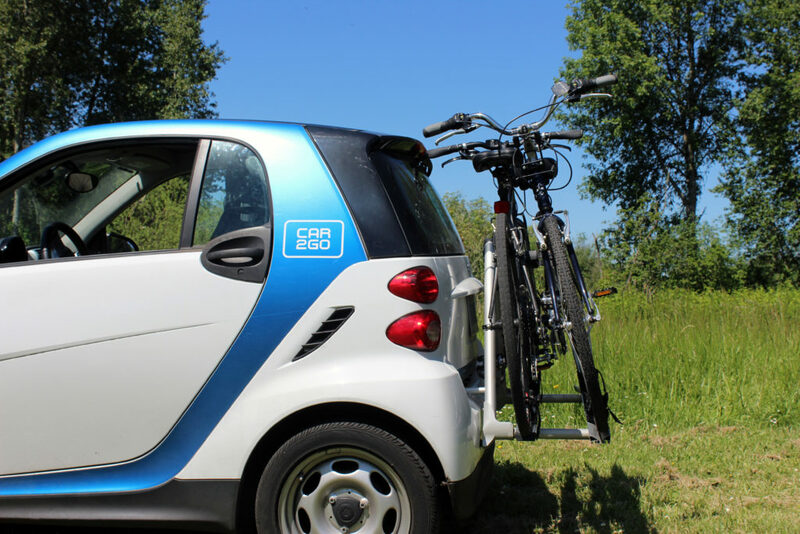 To redeem, email your membership information toPortland@car2go.com. Offer only valid in Portland until June 15th, 2016. One redemption per member. Drive time will be valid in Portland for 45 days from the date of issuance. This offer is not redeemable for cash or other credit. I wish you happy and safe travels. This is the final post in my May 2016 Daytrip series, but please keep reading, there is lots of more fun on the horizon this summer. Happy travels!